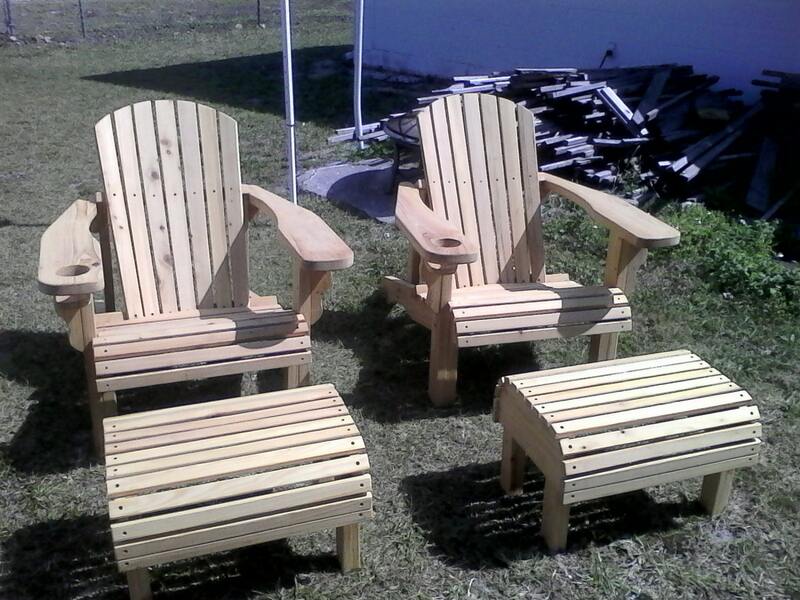 FREE $65.00 OTTOMAN or FREE $65.00 SIDE TABLE WITH THE PURCHASE OF AN ADIRONDACK CHAIR!!! 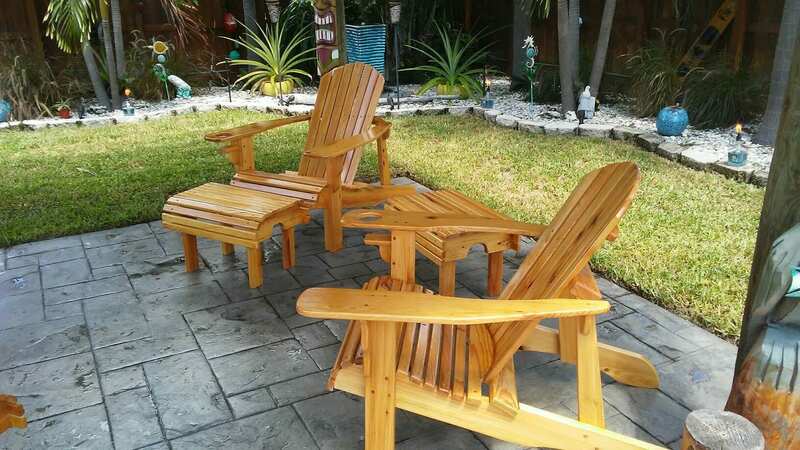 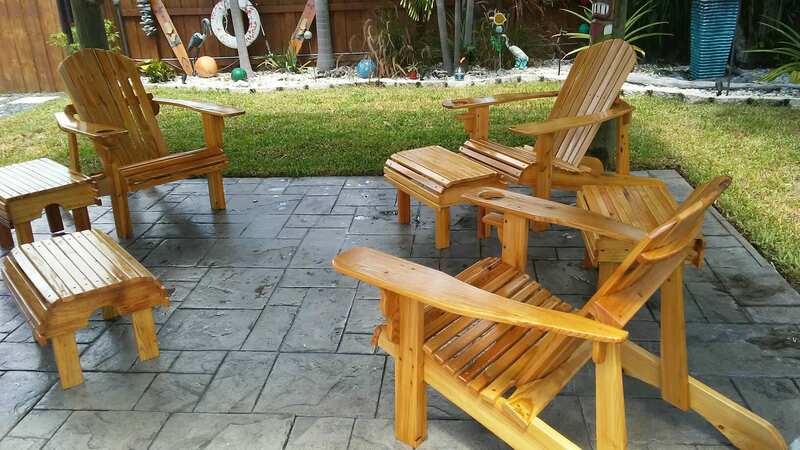 These beautiful hand-crafted Adirondack Chairs are proudly made by us - The Wood Nook - in America and crafted from 100% Florida grown Cypress Hard Wood. 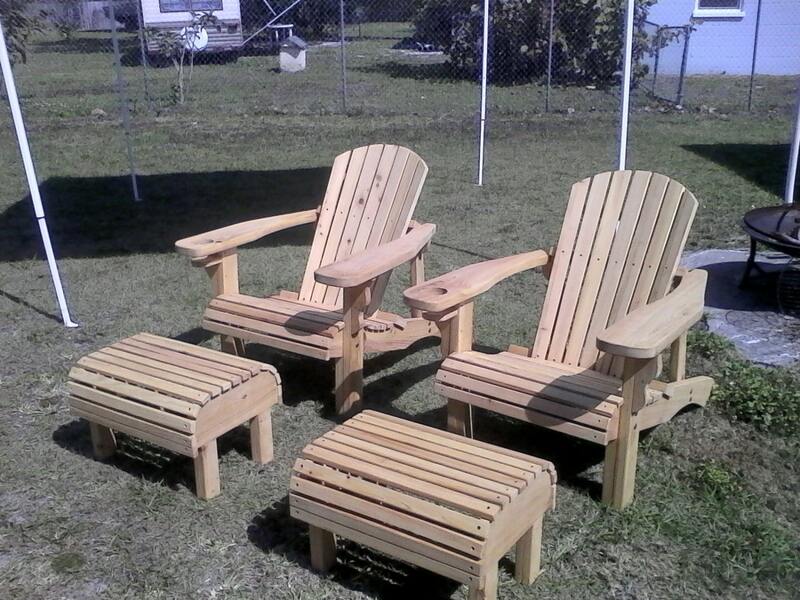 They promise years of comfort and are built to last, even sporting a drink holder...lazy Sunday afternoons are just waiting for you. We could ship if needed (some assembly would be required) - and also offer local pick up. 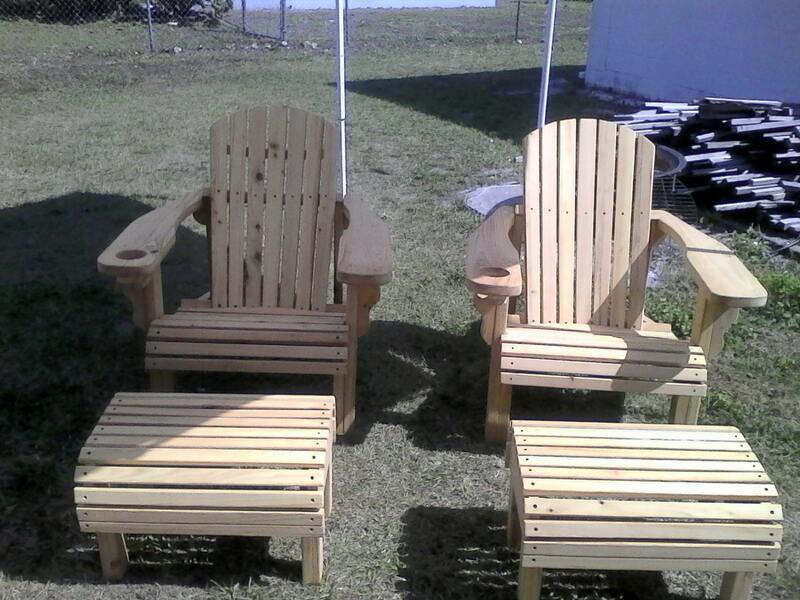 Let us custom design one for you - pick the natural look as shown or any stain or paint finish of you choice. 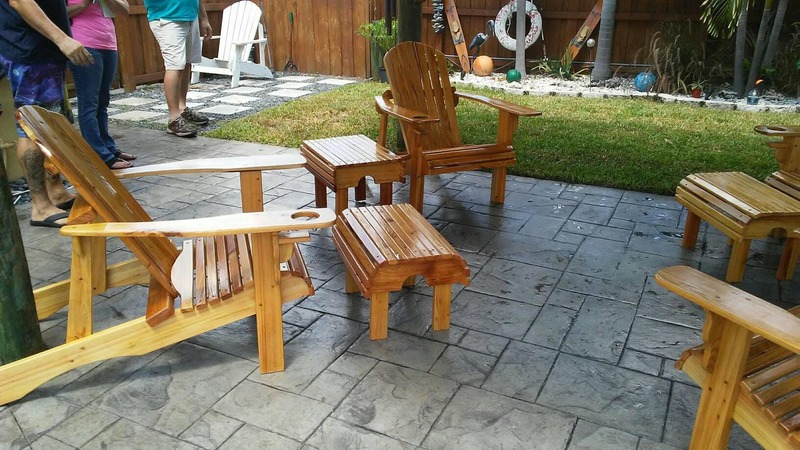 Contact us with any questions - (941) 830-2338 or emai: woodnookllc56 [!at] gmail.com.